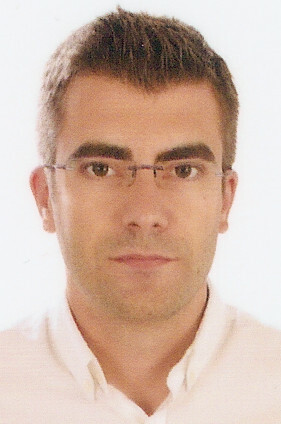 I am an aerospace engineer with a strong background in computing based in Madrid. While I have experience working on either field, I particularly excel at challenges present where both fields meet. This page aims to showcase the parts of my (professional & personal) work that I'm proudest of. I recently joined the methods & tools group at Solute. I am the creator of MeteoAutopistas, a web-based road conservation tool that combines an early warning system for meteorological events with GIS information from various sources to aid in road conservation tasks. Have a look at the presentation slides (in Spanish) for more info. Abertis Group is the main customer for MeteoAutopistas. I am a partner at Mathlas Consulting, where we devise and apply state-of-the-art mathematical methods for our customers in various fields, including structural load estimation, insurance risk prediction and wind power production estimation. We are experts in surrogate modelling, machine learning, optimization & dimensionality reduction, but our real value proposition is our ability to fuse that expertise with our knowledge as engineers in order to deeply understand the customer's challenge and create ad-hoc solutions to their needs, be they technical or business-related. The collection of project-agnostic methods we have implemented at Mathlas has been opensourced and is extensively detailed in its own section on this website. While at Solute I worked on nonlinear structural analysis and CFD-structural coupled problems for some of the biggest companies in the aerospace and wind-turbine industries. I helped with the structural certification of the Falcon 8X, as well as structural analysis projects for the Airbus A400M and Airbus A330 MRTT aircrafts. Other projects involved the detailed structural analysis of wind-turbines as well as analyzing the CFD-structural interaction for a R&D project in the wind-turbine industry (which involved creating an ad-hoc OpenFOAM solver). I was an intern at MSC Software for two and a half years. At MSC I was responsible for providing direct customer support, pre-sales activities and custom software development for MSC Nastran, Patran, Actran and related products. My areas of expertise included vibroacoustics, statics and HPC. During my university years I was an intern in the vibrations department at ETSIA (now ETSIAE) in the Polytechnic University of Madrid where I took part in many aerospace and railway related projects, all of them in the field of vibro-acoustics and taught some classes for the 2008 & 2011 Athens programme, as well as for a structural design course for Telefónica. I also helped with the test campaign for the ARA-MK3 solar panel array which provided data later used for writing the Air gap influence on the vibro-acoustic response of Solar Arrays during launch paper as well as my own master's degree thesis (PFC). See the section below for a link to my thesis. I hold a Master's Degree (MECES-3 level) in aerospace engineering by the Polytechnic University of Madrid (UPM). My Master's thesis (PFC) was directed by Marcos Chimeno Manguán, PhD and versed on the vibroacoustic analysis of a solar panel array inside a spacecraft fairing during the ascent phase. The thesis —written in Spanish— is freely available (with some conditions) here and also in UPM's Digital Archive. The Nastran vibroacoustic models & code used in Chapters 3 & 4 of the thesis can be downloaded freely (see conditions for the models and for the code) from here or browsed in GitLab. At this point I can, basically, be productive in almost any new programming language in about a week. I also have experience with computer security and cryptography (you can find a Python package I wrote for reading 1Password OPVaults in the "Miscellaneous" section below) and copyright law. Thin-walled composite aircraft structures commonly used on fuselage and wing skins are prone to in-service impacts that could compromise the structural integrity and could be hard and expensive to detect by traditional methods. The development of a Structural Health Monitoring (SHM) System able to detect and characterize this kind of impacts can reduce the cost for maintenance and inspection and furthermore the results obtained from this system could be used to improve the analysis and design of the structure. However, one of the main challenges of a SHM system is the detection and location of impacts as well as the characterization of the resulting damages. A SHM system based on the detection of the elastic waves generated by an impact has been developed by Airbus Defence and Space In order to increase the knowledge of the structural response under impact, a set of Numerical Simulations using Explicit Finite Element analysis codes have been performed: These simulations cover different typical aircraft structures and they have been validated against physical tests; however the correlation between simulations and tests present some complexity due to its sensibility to a great number of undetermined factors, the difficulties of wave characterization and the determination of wave times of arrival to a specific location. Due to that complexity, a surrogate modelling optimization process, developed with our partner Mathlas, has been introduced in order to improve the correlation between test and analysis. The target of this study is to develop a robust simulation methodology which could support the development of a reliable Structural Health Monitoring System for real aircraft structures reducing the number of physical tests and improving the methodologies for FEM-Test correlation. The paper presents details of the different FE Models and test specimens, results from simulation and tests and highlights the advantages and challenges of this simulation and correlation methodology. Low back pain is a common health problem due to its high frequency in the population. Worldwide, 65-80% of the population experience low back pain at some stage of their lives. It is the main cause of disability for people in their work years. Lower back pain involves a large number of professional consultations and a high use of health services so it has a great socioeconomic impact. The Back School relies on informing and educating people both healthy and suffering from back pain and its effectiveness has been proven in secondary and tertiary prevention. The aim of this study was to evaluate the effectiveness of a back school program in patients with low back pain, as well as their satisfaction. This work compares the vibroacoustic solution of a typical spacecraft structure to random acoustic loads during launching using different numerical methods. The solutions are compared with experimental results of these models tested inside a reverberant chamber; in particular, the numerical results of the different models using Finite element method and boundary element method, Statistical Energy Analysis and Energy Finite Element Analysis are compared with experimental results for low, medium and high modal density ranges. One of the primary elements on the space missions is the electrical power subsystem, for which the critical component is the solar array. The behaviour of these elements during the ascent phase of the launch is critical for avoiding damages on the solar panels, which are the primary source of energy for the satellite in its final configuration. The vibro-acoustic response to the sound pressure depends on the solar array size, mass, stiffness and gap thickness. The stowed configuration of the solar array consists of a multiple system composed of structural elements and the air layers between panels. The effect of the air between panels on the behaviour of the system affects the frequency response of the system not only modifying the natural frequencies of the wings but also as interaction path between the wings of the array. The usual methods to analyze the vibro-acoustic response of structures are the FE and BE methods for the low frequency range and the SEA formulation for the high frequency range. The main issue in the later method is, on one hand, selecting the appropriate subsystems, and, on the other, identifying the parameters of the energetic system: the dissipation and coupling loss factors. From the experimental point of view, the subsystems parameters can be identified by exciting each of the subsystems and measuring the energy of all the subsystems composing the Solar Array. Although theoretically possible, in practice it is difficult to apply loads on the air gaps. To analyse this situation, two different approaches can be studied depending on whether the air gaps between the panels are included explicitly in the problem or not. For a particular case of a solar array of three wings in stowed configuration both modelling philosophies are compared. This stowed configuration of a three wing solar arrays in stowed configuration has been tested on an acoustic chamber. The measured data on the solar wings allows, in general, determining the loss factors of the configuration. The paper presents a test description and measures on the structure, in terms of the acceleration power spectral density. Finally, the performance of each modelling technique has been evaluated by comparison between simulations with experimental results on a spacecraft solar and the influence on the apparent properties of the system in terms of the SEA loss factors has been analysed. The Statistical Energy Analysis (SEA) is a standard method to study the vibro-acoustic response of spacecraft structural components. Coupling and internal loss factors are the structural parameters which characterize a structure when the statistical energy analysis is used to study the response of an element to vibro-acoustic excitations. These factors can be calculated either theoretically or experimentally. The power injection method has become a standard method for experimental verification of the coupling and internal loss factors. But, the SEA model is adequate when component modal density is high in the frequency range of interest. Some spacecraft structural components, like parabolic antenna reflector, present an intermediate modal density in the frequency range of interest. In those cases, the applicability of SEA models presents some doubts. The paper presents acoustic results measured on a reflector antenna, and their comparison with SEA and FEM models predictions. The antenna is a parabolic reflector of 1650x1490mm and has been tested inside an acoustic chamber of 200 m3. The antenna surface and stiffeners are manufactured on sandwich construction of CFRP skins and aluminum core. The paper presents a comparison of the analytical predictions and the experimental response of the antenna to a diffuse acoustic field. I work on an open source 2D game engine called PixTudio as a hobby. It works on PCs and mobile platforms and includes cool features like Steam integration. In the past I even ported it to the Nintendo Wii, which was a really interesting thing to do. I also keep a collection of open source utilities I've written —mostly for private use— and released in case they're useful to others. There is a variety of things there: a Python 3.6 package that can be used to read 1Password vaults in Python, a Qt-based text editor, a game engine, some nonlinear analysis monitors, a python package used to read Nastran models, and even a printer driver. Most importantly, the collection includes the collection of common methods we implemented at Mathlas Consulting. While working on PixTudio I also wrote the initial implementation of joystick support code for SDL2 on Android and improved the SDL2 mouse support for Android, in case that means anything to you. Let me know in case any of the above is ever useful to you. Spanish is my mother tongue but I have bilingual fluency in English, too. I can also speak some French and Basque, although I'm far from bilingual in those.